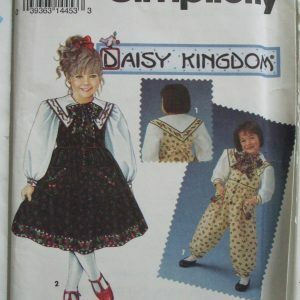 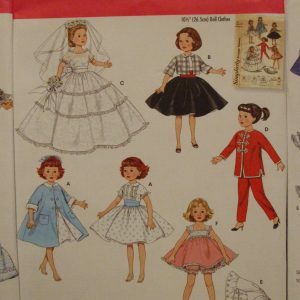 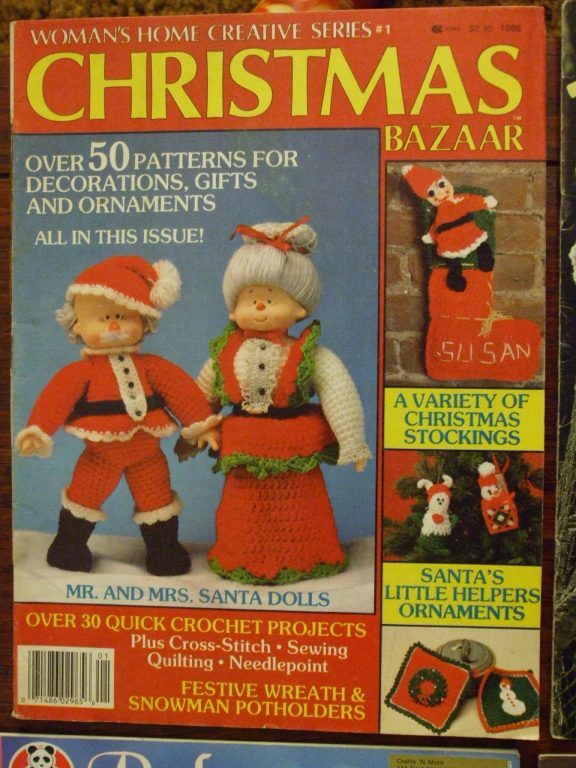 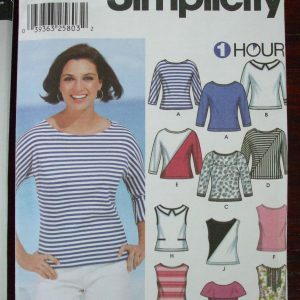 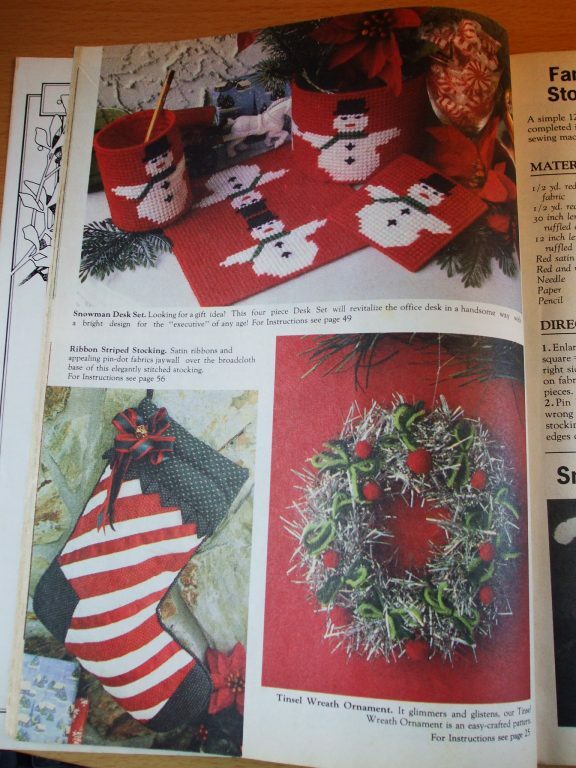 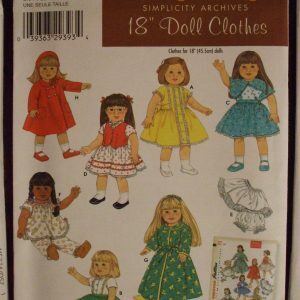 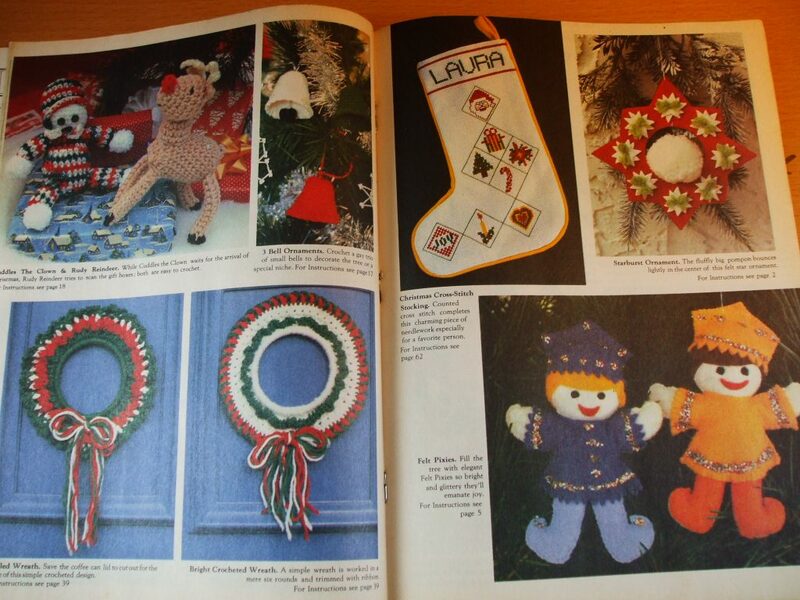 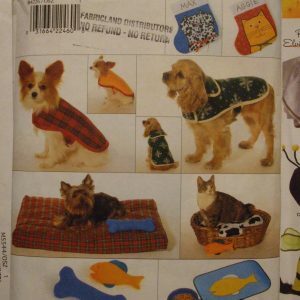 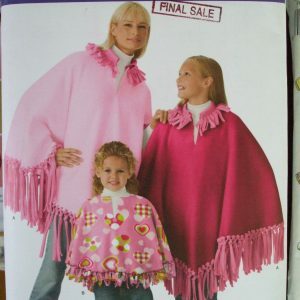 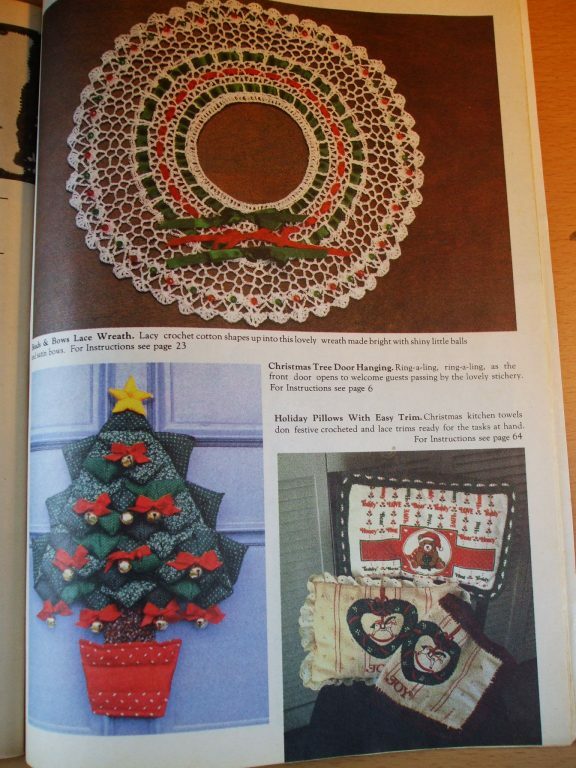 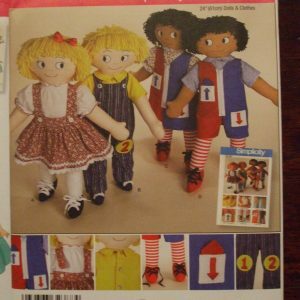 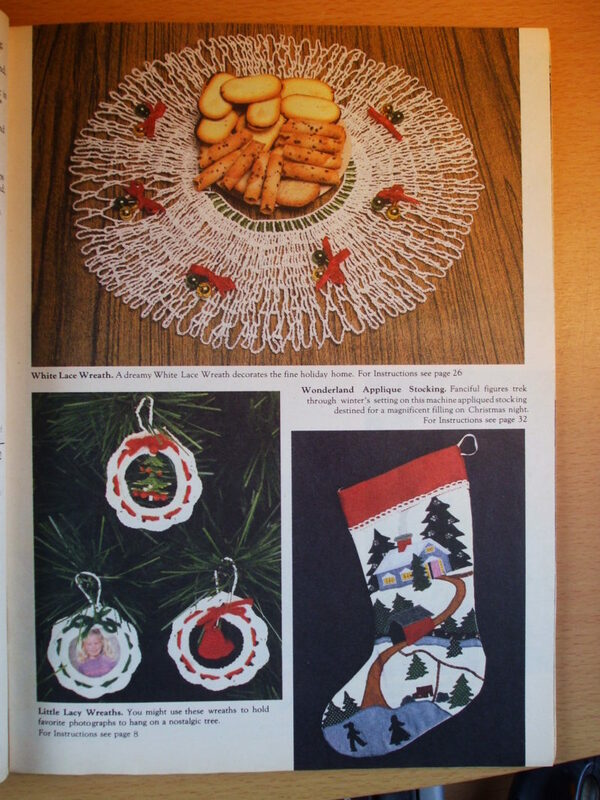 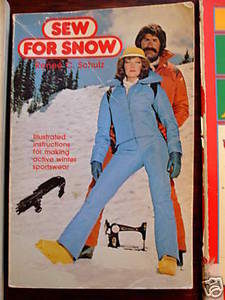 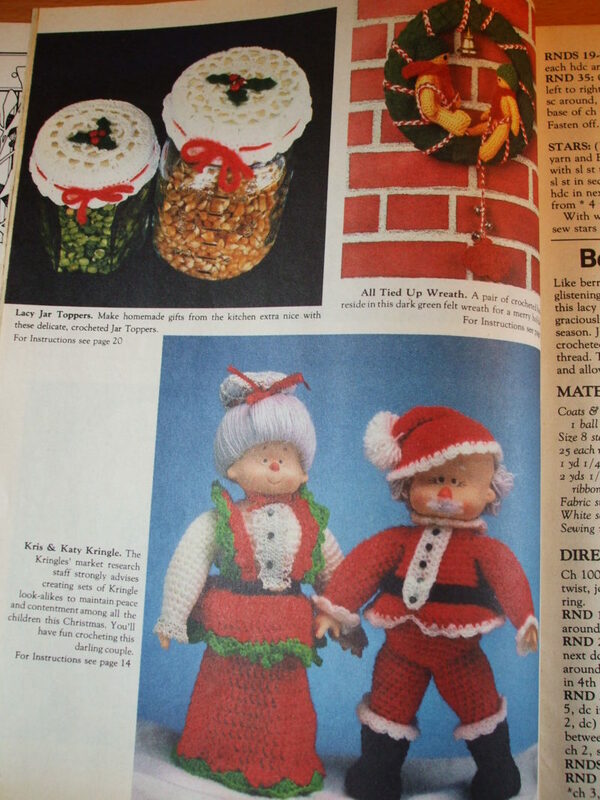 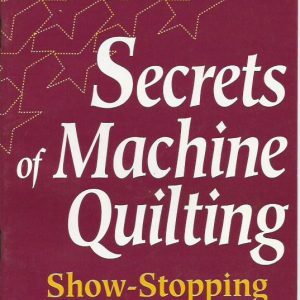 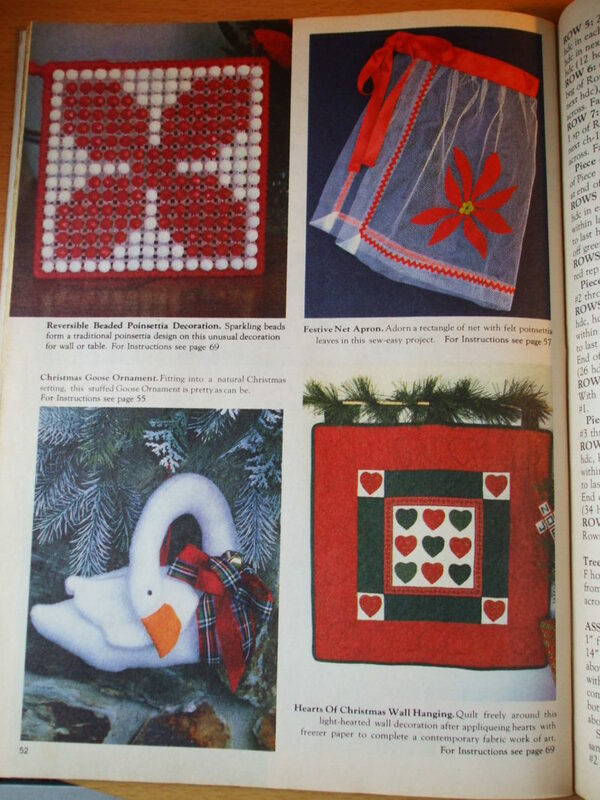 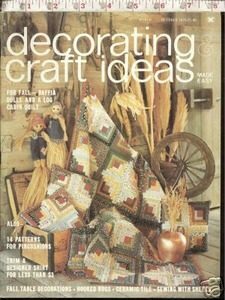 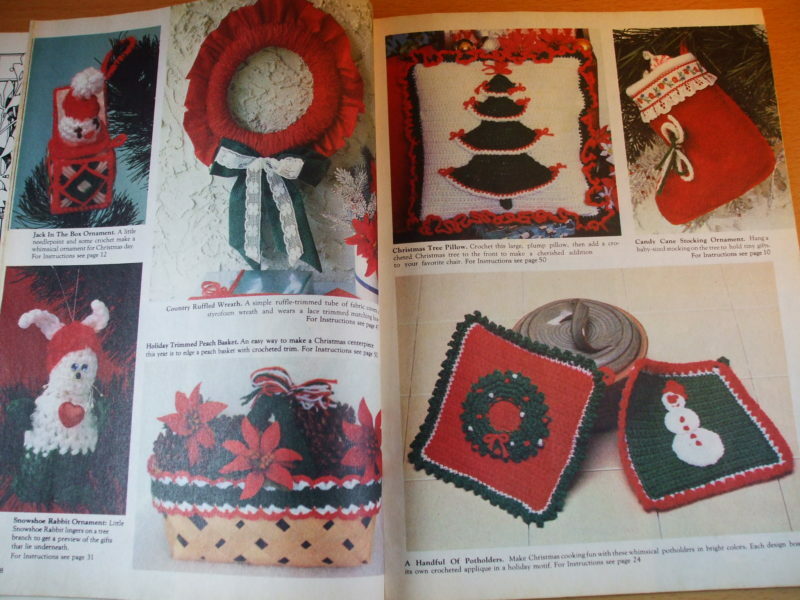 Woman’s Home Creative Series Christmas Bazaar magazine, 1986, Over 50 patterns for decorations, gifts and ornaments, Crochet Santa doll patterns + Over 30 quick crochet projects plus cross stitch, sewing, quilting and needlepoint. 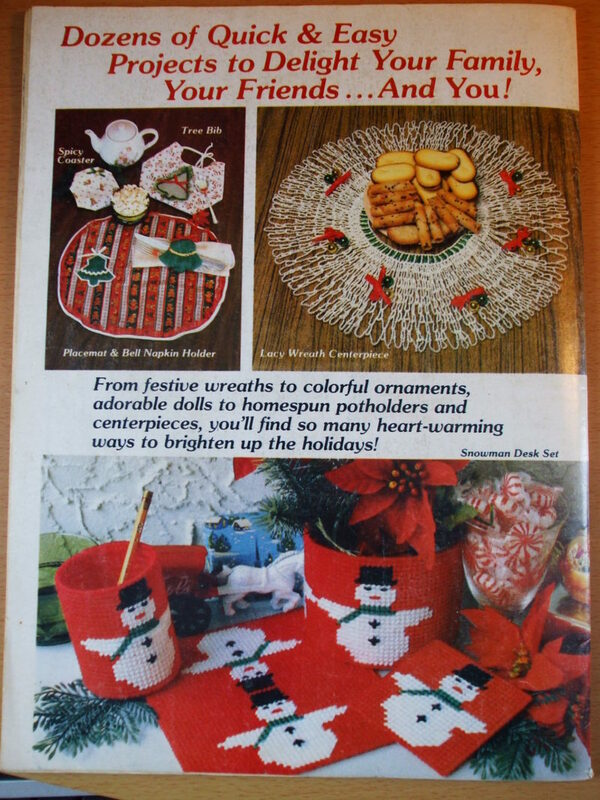 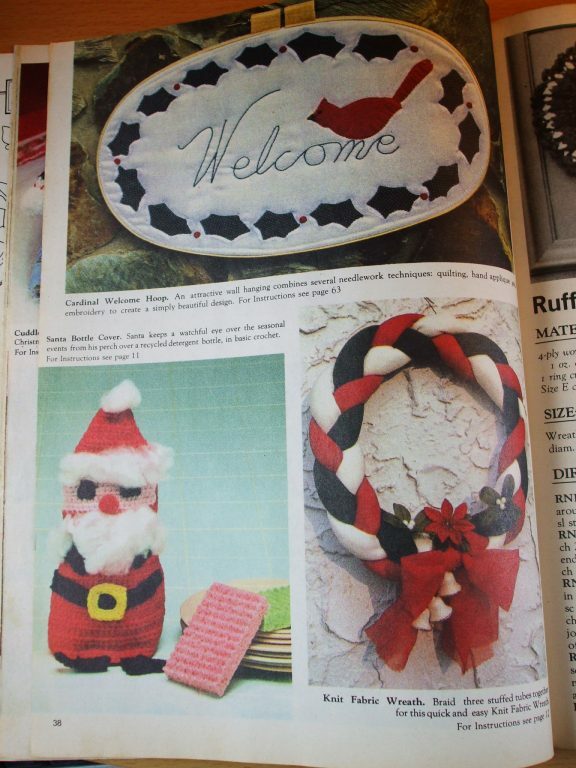 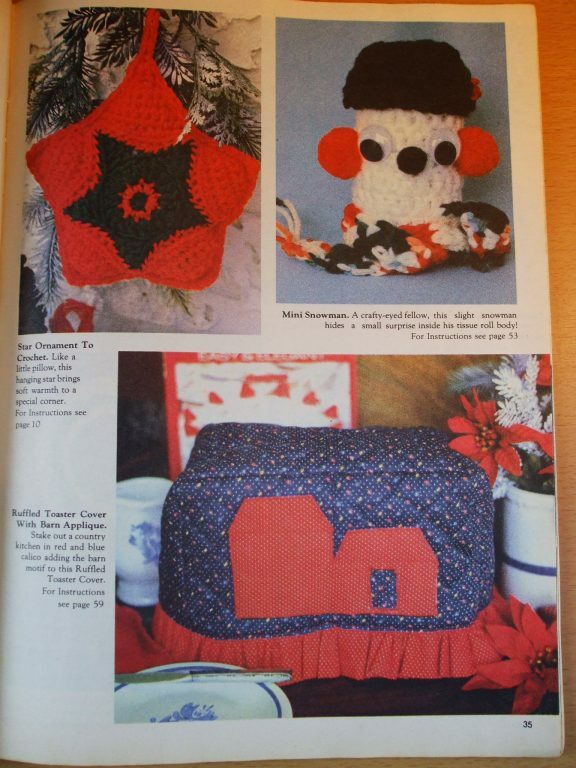 Festive wreath and snowman potholders. 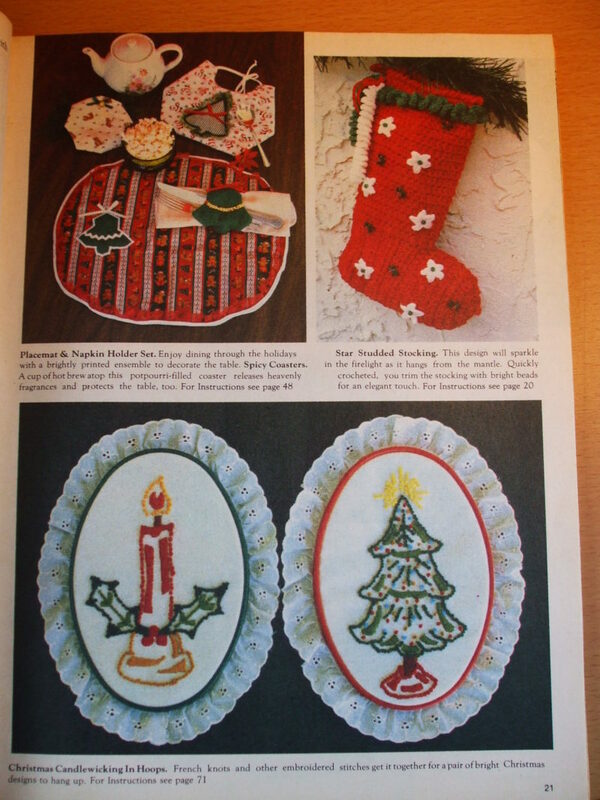 A variety of Christmas stockings. 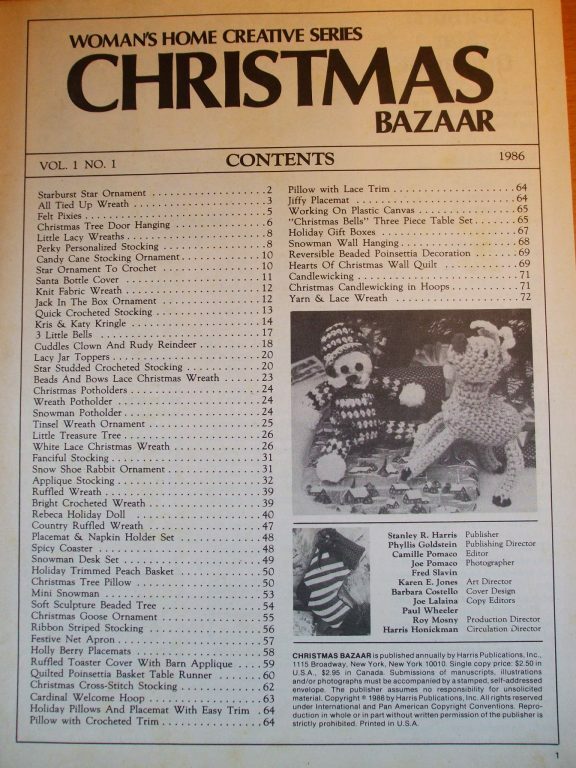 72 pages, all pages intact and legible.